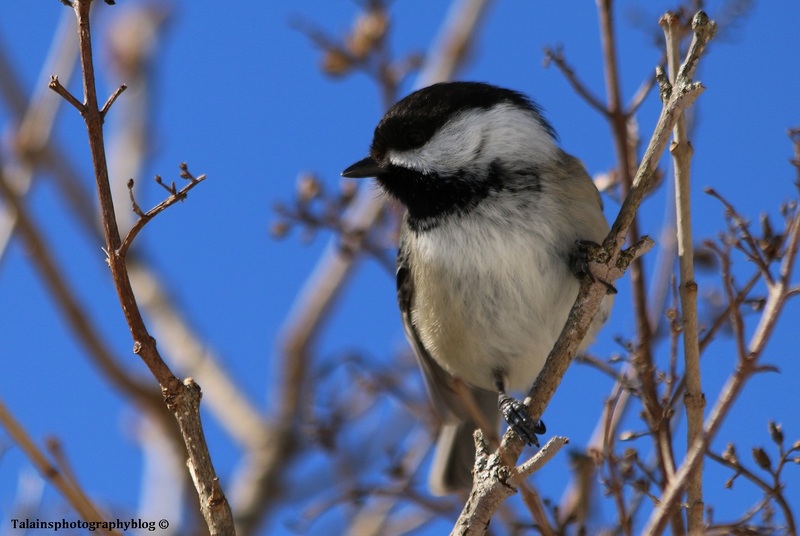 A Image of a Black-capped Chickadee from this past March. 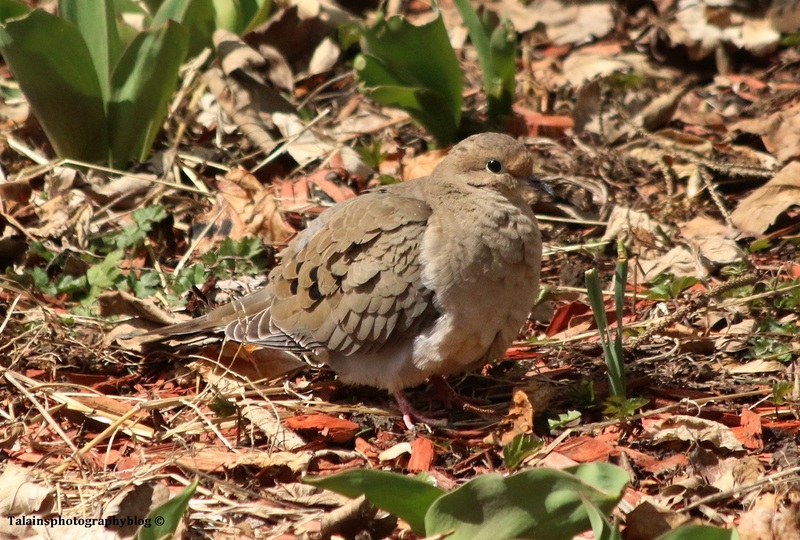 A Mourning Dove that was in the back yard. 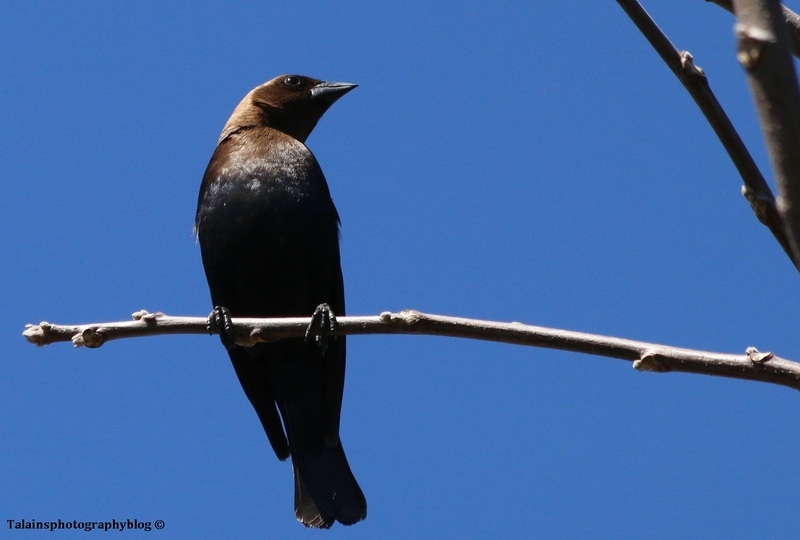 1 Not one of my favorite bird, this Brown-headed Cowbird lays it's eggs in other birds nest. It's chick will hatch and kick the host birds hatch-lings out of the nest to be the only chick left for the adopted parent birds to feed. The song birds are hit very hard in my area by them maybe except the American Robin. It seems to know how to deal this the cowbird. 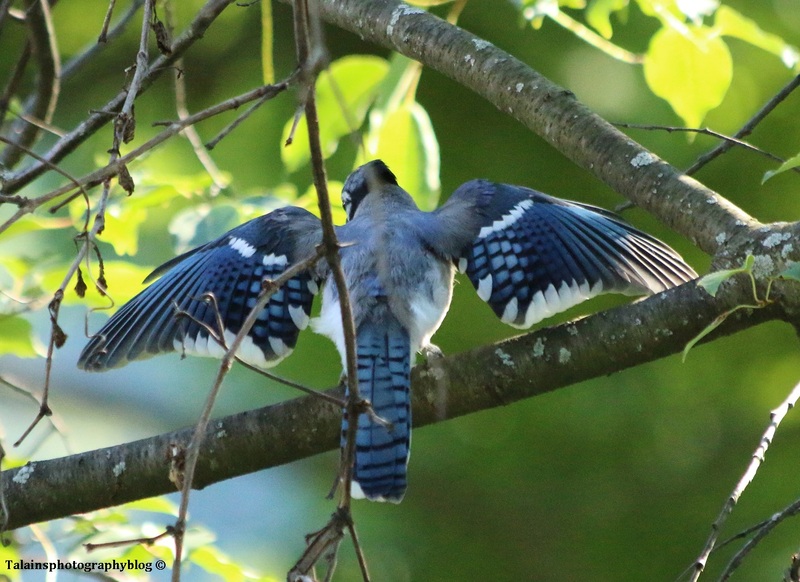 18 A picture of a Blue Jay with it's wings spreed out. I personally love the coloration of the four inner feathers on this bird's wings. The black strips through the blue with a white tip. 6 I found this chap with his freshly caught meal last June out of Goshen, Massachusetts. I was camping at the D.A.R. State Park, staying under my canopy, as it was drizzling outside, watching the chipmunks scurrying around the camp site. All of a sudden there was a quick flash through the camp site that I caught just out of the corner of my eye and then there was a shrieking noise. 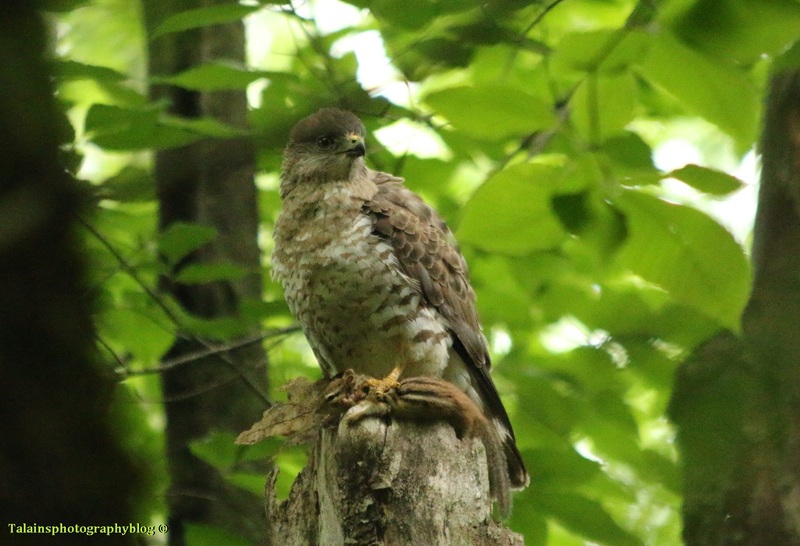 When I payed closer attention to what was going on, I saw this Broad-winged Hawk with his wings spread out over the ground trying to contain a chipmunk he had caught. I grabbed my camera and tried to get a picture of him on the ground but he flew a short distance away to a dead broken tree. That's were I got this picture of him that you see. I was not really sure as to what kind of hawk he was and later in the day I was talking to one of the Rangers who told me that they had a large population of the Broad-wings because of the plentiful chipmunk population. For such a dreary day, I guess I was lucky enough just to get a hand full of images from this moment. Take what you can I guess when the opportunity is there. I'm hopping to go back there some time this summer. I saw quit a bit of wildlife there that I don't see here that much, manly the birds. They had quit a lot of different warblers that I love so much. I also saw my first wild moose but non of the picture I took of him really came out. 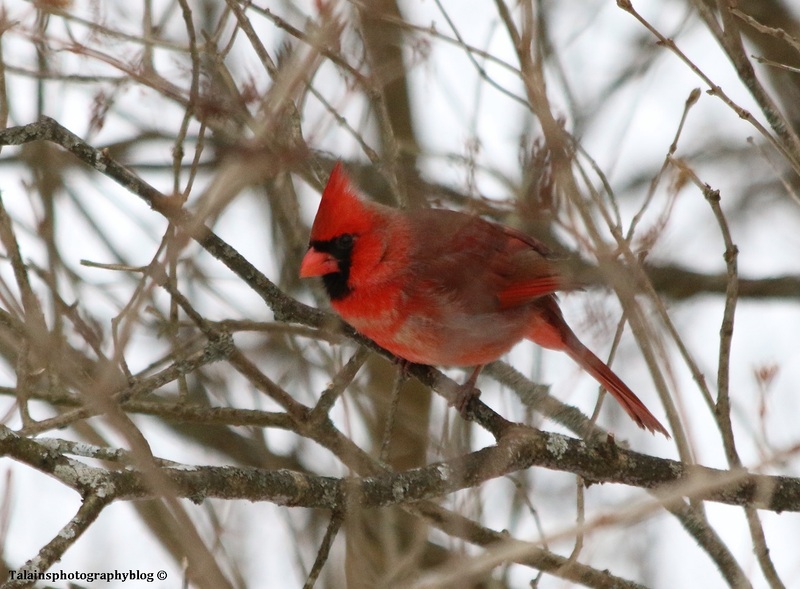 5 A Male American Northern Cardinal in a lilac bush. 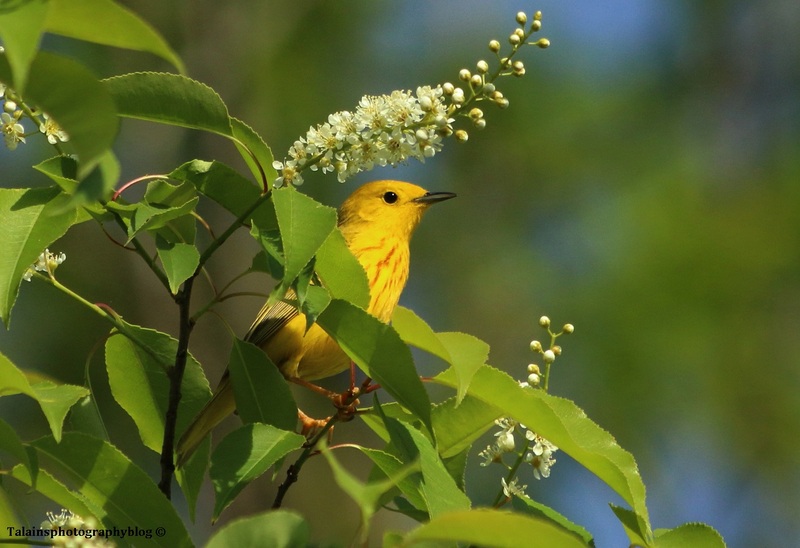 14 A Male Yellow Warbler singing in a bush.